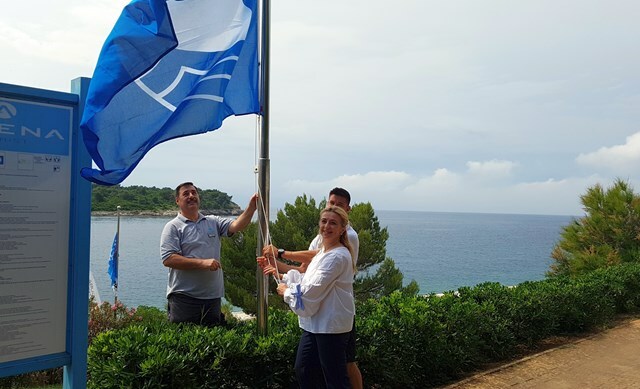 Symbolically on June 5, World Environment Day, Blue Flags were raised for the 14th time at the three beaches of Arena Hospitality Group accommodation facilities, commonly known as Yacht club, Brioni and Ambrela located in Sv. Ivan cove. These are the only three beaches in Pula awarded the Blue Flag, symbolizing the implementation of the international environmental program for preserving the sea and coast.